Wonderful commercial building on large .63 acre lot. 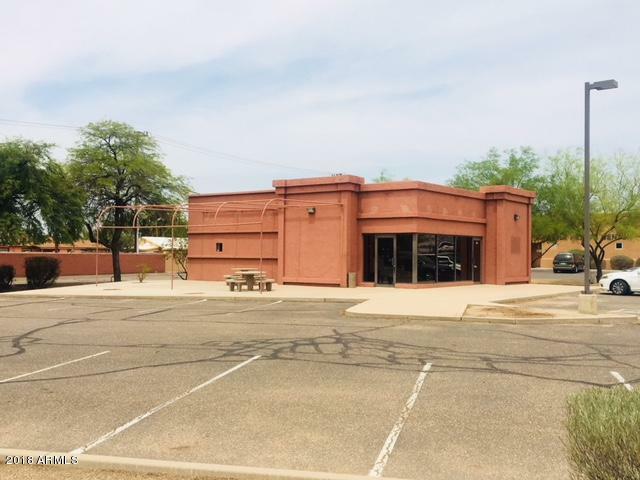 Building has a great location and is near other businesses such as Wal-mart, Safeway, McDonalds, Tractor Supply, banks, medical offices, etc. Great street frontage on Arizona Boulevard, with good traffic volume. Building has freestanding illuminated signage. There is more than ample parking, with parking spaces in front and sides of building, with 2 rows for business patrons. Glass front with 2 entry doors, and a large patio area with entrances on Arizona Blvd and Padre Kino. Perfect location for your business! Listing courtesy of Kari Bradley & Associates.